You are the dancing queen! Or you will be once you've shopped our range of plus size party dresses. Available in UK sizes 16 to 36, this collection has options to suit every occasion. From wedding-guest looks to going-out-out, find your perfect party dress at Yours. From low-key drinks to going out-out, our line-up of plus size going out dresses is filled with irresistible styles. 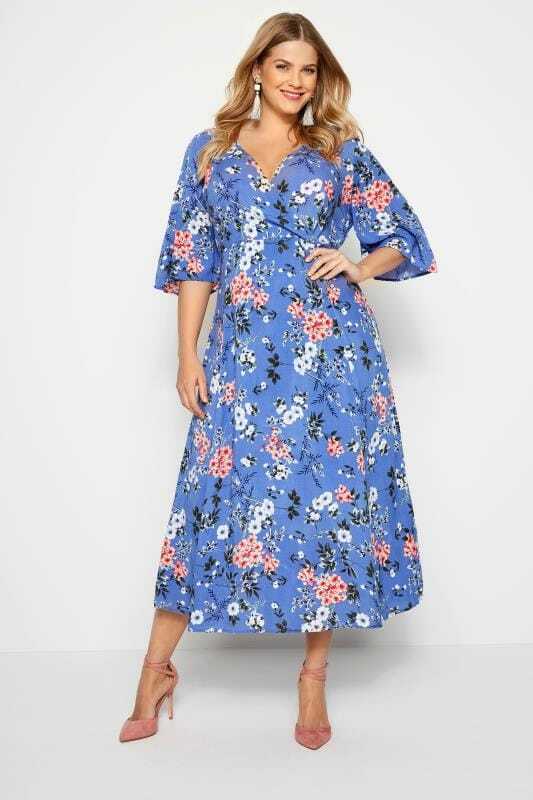 From figure-flattering wrap dresses to on-trend midis and new season skater dresses, shop this season’s hottest prints and colour palettes for a trend-led look. Did someone say birthday night out? Keep all eyes on you with sequin embellished garments and sparkle inspired outfits. From floor-length maxi gowns to sophisticated plus size cocktail dresses, why not check out our LUXE and Yours London range for the ultimate party-ready styles? Whether you’re heading to the bar or to the club, find your perfect dress in sizes 16 to 36.